The Times yesterday published a list of Britain’s 50 best and we are proud to announce that The Boathouse at Knotts End was featured on this list. 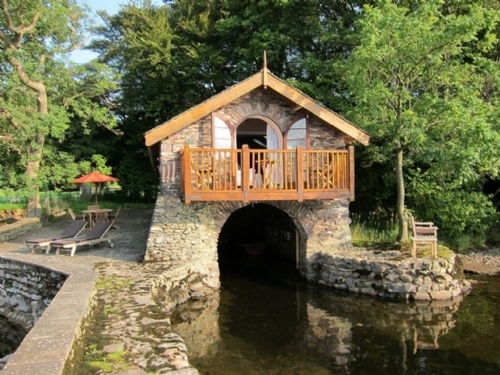 If your idea of a memorable holiday is relaxing on the most romantic lake in England then look no further, the Boathouse at Knotts End has it all: stunning scenery, 10 acres of woodland and fields and 300 feet of private lake frontage provide guests with seclusion and a real sense of getting away from it all. Knotts End is an ideal honeymoon hideaway and the perfect escape for two at any time of the year. Should guests tire of the magnificent views, there is plenty to do: take out Knotts End’s row boat, cool off with a dip in the lake, or explore the many walking opportunities just outside the front door. Numerous sailing clubs provide water sports activities and the many villages close by offer shops, tea rooms, restaurants and pubs. The Boathouse offers spaciously designed open-plan accommodation furnished to an extremely high standard with Chinese and Indonesian antiques and handmade silks. For more information, photographs and to check the availability and prices, see our website. This entry was posted in Awards, Contact, cottage holiday group, Cottages, holidays, Lake District, Lake District Cottages, latest, News, pictures, self catering, self catering holidays, ullswater, ullswater Lake District and tagged Bedroom, Boathouse, Britain, Cottage, England, Lake, Times, ullswater on January 20, 2013 by cottageholidaygroup. Should guests tire of the magnificent views, there is plenty to do: take out Knotts End’s row-boat, cool off with a dip in the lake, or explore the many walking opportunities just outside the front door. Numerous sailing clubs provide water sports activities and the many villages close by offer shops, tea rooms, restaurants and pubs. 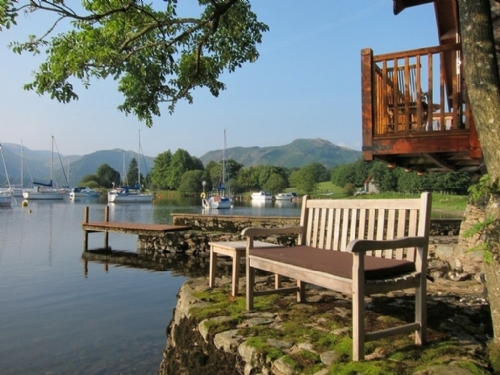 This entry was posted in Awards, bookings, Contact, cottage holiday group, Cottages, holidays, Lake District, Lake District Cottages, latest, News, picture, pictures, self catering, self catering cottages, self catering holidays, ullswater, ullswater Lake District, update and tagged Britain, Cottage, England, Lake, self catering, Times, ullswater on January 20, 2013 by cottageholidaygroup.